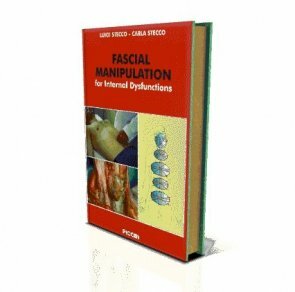 I was more than happy to write this foreword to ‘Fascial Manipulation for Internal Dysfunctions’ by Luigi Stecco, because I have always encouraged manual therapies dealing with internal dysfunctions. My enthusiasm derives from the extraordinary results I obtain using “Visceral Manipulation”, the method I have developed from my experiences as an osteopath. In recent years, many scholars have shifted their attention from the organs to their surrounding fasciae, but this is the first book that provide an overview of all the internal fasciae. Furthermore, it proposes a biomechanical model that defines the specific relations between organs, fasciae and musculoskeletal muscles and is supported by beautiful images of dissection that help to comprehend these relations. I would like to underline the clarity with which Stecco has described the autonomic system and its affiliation with internal fasciae. See in this light, the autonomic system no longer represents an incomprehensible chaos. Moreover, it becomes a sort of peripheral brain, regulating the functions of different organs perfectly, thanks to its interactions with the visceral fasciae. I sincerely hope that therapists, medical doctors, osteopaths, chiropractors, and researchers will take the proposals in this book into consideration, both in order to realise the potential our hands possess to cure many internal dysfunctions, as well as to ascertain the validity of these ideas. ‘Fascial Manipulation for Internal Dysfunctions’ certainly provides a simple but effective biomechanical model for guiding the therapist’s hand in unravelling the chaos of fascial anatomy. To quote the Fascial Manipulation motto: manus sapiens potens est – a knowledgeable hand is powerful.